Chronic Obstructive Pulmonary Disease (COPD) is a debilitating and potentially fatal condition affecting over 15 million Americans. In 2008, chronic lower respiratory disease, of which COPD is the largest primary condition, became the third leading cause of death. This condition is found to be increasing globally with increased numbers of emergency room visits and hospitalizations due to exacerbations of the condition brought on by exposures to irritating gases and particulate matter. In France alone, the national medical costs in 2012 attributable to COPD amounted to over 670 million euros, an increase of almost 11% since 2007. In the U.S., the medical costs for COPD in 2010 were over $36 billion dollars. And these numbers, as well as the number of persons afflicted with this condition, continue to rise. Eighty percent of the deaths from COPD are attributable to smoking and approximately 60% of persons with COPD are former smokers or live in homes where someone is a smoker. Clearly, smoking is a major factor in acquiring this disease but for almost 40% of sufferers, smoking was not the primary cause. Persons living in areas highly polluted by industry or near major traffic areas experience higher than average affliction rates. There is no cure for COPD and once the condition is diagnosed, the best that can be hoped for is that it can be managed in a manner that minimally affects everyday lives. But knowing what might be the triggers for episodes, i.e., exacerbations, has been difficult to quantify. Data that is available is very general. For instance, persons living in areas that have higher than average pollution levels tend to be affected more readily than persons living in lower pollution areas. But these are very general observations. What pollutant is responsible? Or is one pollutant more responsible than another and why? Ozone is known to have an effect and there is a growing body of evidence indicating that fine particles, PM2.5, or their even smaller constituent, ultrafine particles with diameters less than 300 nm, may also play a major role. Studies in the UK, as well as some studies being proposed for the U.S., hope to shed more light on this problem by tracking individual exposure levels on a daily basis in order to correlate exacerbations with pollutant exposures. Knowing this type of information can have significant impact not only on reducing the number of emergency room visits and hospitalizations but also on improving the quality of life of persons that are affected. Using inexpensive pollutant monitors in homes can alert persons to perform simple actions, like closing windows, increasing ventilation, turning on air cleaners, or even replacing furnace and AC filters that can reduce pollutant level and decrease exposures that could have led to exacerbations and the subsequent consequences. 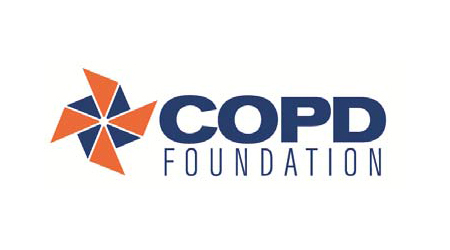 Even though there is still much work to be done to pinpoint and quantify those factors that produce adverse COPD reactions, the outlook is hopeful that these studies can have a major impact on reducing the devastating consequences associated with this condition. A wealth of additional information can be found on the COPD Foundation website, http://www.copdfoundation.org/. One of the more comprehensive COPD health care systems is operated by National Jewish Health located in Denver, CO, https://www.nationaljewish.org/programs/directory/copd/, and locally in the Pittsburgh, PA area UPMC maintains a Center for COPD and Emphysema, http://www.upmc.com/services/pulmonology/respiratory/services/copd-and-emphysema-clinical-center/pages/default.aspx, and Allegheny Health Network (AHN) has recently established a Breathing Disorders Center, https://www.ahn.org/news/3-2-2016/allegheny-health-network-establishes-breathing-disorders-center-wexford-health. Additionally, links to some current and relevant research on this problem can be found below, as well as a link to a peer review journal dedicated to COPD….